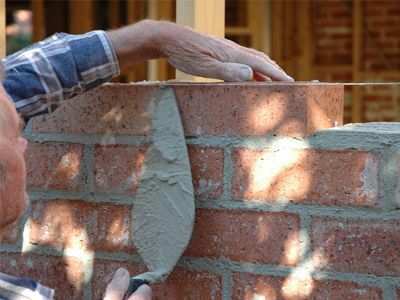 LookLocalWA's Perth directory puts you in touch with Bricklayer specialists near you. Bricklaying is an art. It takes skill and many years of experience to be able to brick lay and make an area look professional and impressive. In your local area, you may require bricklaying - Perth for many reasons. From paving your outdoor area to brick paving your pool area or driveway, bricklaying is the ideal way to finish off an area and to impress your friends and family. When searching for a bricklayer - Perth ensure that you do your research. Find out exactly how many metres of area that you need brick laid, and also what type of bricks you wish to use for that area. Ensuring that the area is levelled off before your chosen bricklayer begins their work may save you money and the tradesperson&apos;s time. Another thing to consider is whether or not you will outsource your very own bricks. If you do wish to source your own bricks, this may save you money, but just ensure that the bricks you have chosen will match nicely with the area you are paving. The list is endless for companies who offer bricklaying - Perth, whether it be residential or commercial, so do your research as this will help you when finding the right brick layer in your local area! Are you a bricklayer - Perth? Join LookLocalWA, where many WA locals can have access to your business! Small limestone block walls, steps etc. Servicing the Northern and Southern suburbs. Call Troy Bruce today on 0404 077 339 or email originalbricklaying@outlook.com for a free no obligation quote. 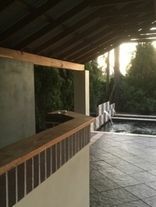 "All types of Brickwork, specializing in Pond design and construction." Experienced in all facets of bricklaying including home extensions, feature and retaining walls, garden beds, letterboxes & repointing. Specialising in the replacement of cracked and weathered bricks. I have my own transport and tools of trade. Call Chris for a quote today! With 25 years experience under his tool belt, Tim Nicklin is a specialist in bricklaying & external render. The information and tips in this publication are provided on the basis that LookLocalWA excludes all liability for any loss or damage which is suffered or incurred (including, but not limited to, indirect and consequential loss or damage and whether or not such loss or damage could have been foreseen) for any personal injury or damage to property whatsoever resulting from the use of the information and tips in this publication.